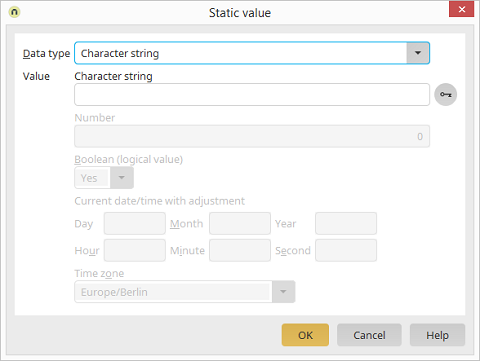 For the "Character string" data type, a GUID can be created with this button. It is then inserted as the character string. For this data type, the number of your choice can be entered. Select Yes or No here. Click here for more information about date adjustment. Select the required time zone.